If you have something better to do, please go do it. Seriously. This is potentially the most boring post I've ever written. Hubby had to work late so my sis and her hubby picked me up from work and we went to mum and dad's for supper. It was delicious. She had mashed potatoes with garlic, a lovely fresh green salad, and carrots right from the garden...slathered in butter and a hint of sugar....fabulous! My sister made us all chocolate mug cake with sauce. It's a cake mix that you put in a mug and mix with milk. It makes its own fudge-y sauce and is especially excellent with vanilla ice cream. I came home, enjoyed a bath and watched the Pan Am pilot episode online. It was really choppy on my laptop and I had to keep resetting it and watching the same clips over and over, not to mention all the adds. I switched to hubby's computer and couldn't get the internet to work, then the internet worked but I couldn't get the speaker to work. It took like an hour just to set up to watch the whole episode! It was worth the hassle. 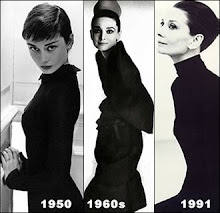 I liked it and see this show as another piece of evidence that I was born in the wrong era. I look forward to the second episode airing Sunday night. Rose early to get to work as I had an appointment scheduled for an hour before the store even opened. Got there and she was a no show! Ate a bagel with herb and garlic cream cheese (no client = garlic) and had a coffee. My supper was a reheated piece of fish that I couldn't finish at lunch. I was bad for lunch and went to Deluxe French Fries to enjoy a fish & chips special with poutine on my fries. It was delicious. Even the reheated piece was delicious. Friday night is youth group night so we usually rush home, eat something quick and fast and then eat another snack after. I drank a can at cream soda during youth group and then made toast and peanut butter as a snack after. Hubby ate mr. noodles and hotdogs. We are so classy! Julie and Julia was on tv. I missed at least the first half hour by the time I had tuned in and had to go to bed before it was done! But, what I did see was really good. I loved the characters and, as usual, Meryl Streep did a fabulous job! I went to church without eating anything (as per usual) and at break time during the service I had coffee and 4 different squares! They were home-made and delectable. I decided we needed something heathy for lunch so I put rice in the rice cooker, defrosted and cooked a chicken breast and made a stir fry with the organic veggies mum gave me the other day. I cooked the chicken with red pepper jelly. And, I added scrambled eggs with cayenne pepper. It was delicious. Hubby agreed. Best part - there is left-over's for him to take in his lunch tomorrow. Later in the afternoon I baked peanut butter chocolate chip cookies. I always just make the recipe on the back of the Kraft Peanut Butter Jar. 3 ingredients: 1 cup peanut butter, 1/2 cup sugar (I use brown), and 1 egg. Mix and add chocolate chips if desired. How easy it that?! hot tip: the recipe is on the medium size jar. If you try to be cost-effective and get the large jar you are out of luck! Julie and Julia came back on tv so I got to watch it all the way through. So glad to have the chance. If you haven't seen it, check it out. Don't watch it hungry though! Supper was simple. Hubby had hot dogs and I had a fried egg on toast with cheese and a slice of pressed chicken breast. After supper I took the notion to make fresh salsa. I've never done that before, but I had just been given 3 beautiful garden tomatoes and a green pepper. I chopped up some tomato, some red onion, green pepper. Added garlic, pepper, sprinkle of thyme, a splash of lemon juice, a pinch of parmesan cheese and mixed it all up. So good! I put some in a bowl with a spoonful of greek yogurt and ate it with multigrain tostitos. A very yummy and healthy evening snack. Of course after that I made hot chocolate with marshmallows and ate another cookie :) only 2 are left from today's batch! 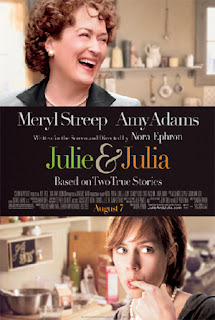 I really liked the movie Julie & Julia. I would watch it again. Ok, I had no idea Kraft makes peanut butter. I'm not going to mention what I ate this weekend. It was boring, boring, boring. Did I tell you I hate to cook? You're giving me a tummy ache. It's so true! Be careful when you watch Julie & Julia! Every time I watch it, I become obsessed with creating a magnificent dinner. And pearls. I become obsessed with pearls. It's great that you had such a weekend filled with all these sartorial delights.